If you’re a good driver who likes the idea of getting discounts on car insurance based on low mileage and perhaps a few measurements of your driving skills, you might want to consider usage-based insurance or pay-per-mile insurance. A growing number of car insurance companies offer programs that use technology to track your driving and then base premiums partly on the collected information. To find the right usage-based policy for you and get the cheapest car insurance, you’ll want to compare several programs. Each company’s program works differently, and often the same program’s details vary by state. Typically the usage-based discount applies to bodily injury and property damage liability insurance as well as collision insurance. Most of the programs involve a small “telematics” device that you plug into your car’s diagnostic port, which is located under the dashboard, usually on the driver’s side. Some programs use subscription-based car-connectivity services, such as OnStar, to track driving. Insurers are also experimenting with using mobile apps for monitoring. In all cases these devices and apps send real-time information about your driving back to the insurer. You can also check how you’re doing online or through an app. Part of your rate is still based on traditional factors such as your age, the type of car you drive and whether you’ve had recent accidents or traffic violations. But a portion is affected by how much you drive. Some programs also base part of your rate on when you drive and how safely you drive. Where available: App is nationwide. Plug-in device available in Alaska, Arizona, Colorado, Connecticut, Florida, Illinois, Indiana, Massachusetts, Maryland, Michigan, Minnesota, Missouri, New Jersey, Nevada, New York, Ohio, Oklahoma, Oregon, Pennsylvania, Tennessee, Utah and Washington. With Drivewise, you install an Allstate plug-in device and can use an app to get real-time updates on your driving. The program measures mileage, speed, time of day and braking activity. How to save: Drive less than 25 to 30 miles a day and avoid late-night trips, speeds of more than 80 mph, and fast and hard stops. You’re most likely to save if you log fewer than 12,000 miles a year. You might save if you’re a careful driver and log between 12,000 and 15,000 miles a year. It’s probably not worth it if you drive more than 15,000 miles a year. 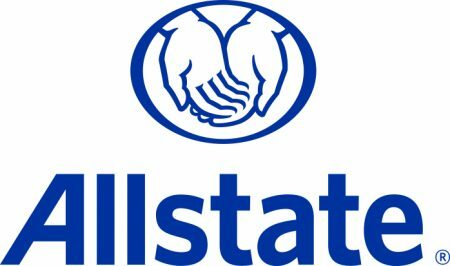 How much you’ll save or pay: Allstate says most customers save money, and the average customer saves almost 13% per vehicle. The maximum savings is 30%, and your rates won’t go up as a result of Drivewise. Available: All states except Alaska, California, Hawaii and North Carolina. Progressive provides a free plug-in device and is piloting a mobile app that also measures driving data. You can sign up for a 30-day trial to see how much you’d save before buying a Progressive policy. The device tracks when and how much you drive, and sudden changes in speed. Progressive says some devices track location data, but only for research and development, not to calculate your rate. In some states you get a participation discount for signing up. How to save: Avoid hard braking and late-night driving. In some states, avoid fast starts. How much you’ll save or pay: The maximum discount is 20% or 30%, depending on the state. Most customers save money, Progressive says. Customers in some states could see their rates increase by as much as 10% if their results reveal risky habits. In other states customers will see no premium increase as a result of Snapshot, regardless of driving habits. You can opt out of Snapshot at any time. But in some states opting out more than 45 days after enrolling but before the minimum 75 days of driver monitoring could result in a surcharge at renewal time. Available: All states except Alaska, California, Florida, Hawaii, Louisiana, Massachusetts and Montana. The Hartford provides a free plug-in device that collects time, speed and location data, which is used to calculate trip distance, time driving, acceleration and braking. After about six months of driving, you return the device, and any discount will be applied to your car at renewal time. Once the discount is earned, it will be applied at each renewal for the life of the policy. How to save: Avoid extremes in speed, acceleration and braking. Where available: All states except Alaska, California, Florida, Hawaii, Louisiana, Massachusetts and Montana. 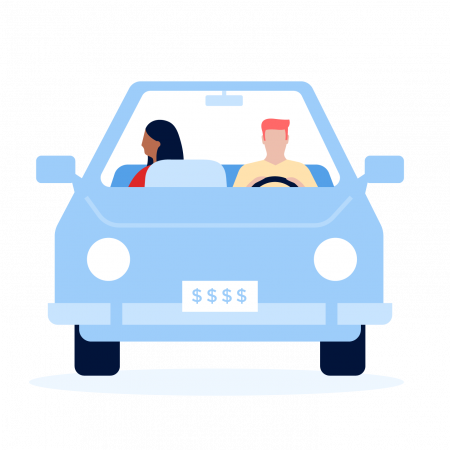 How much you’ll save or pay: You can save up to 10% on each vehicle when you enroll and up to 25% based on your driving habits when you renew the policy. The discount for driving habits replaces the participation discount. The average discount is between 10% and 12%, the company says. Available: All states except Alaska, Arkansas, California, Connecticut, Delaware, Hawaii, Iowa, Kansas, Maine, Massachusetts, New Jersey, North Carolina, North Dakota and Vermont. OnStar subscribers can sign up for this program. National General will confirm your mileage based on your OnStar vehicle-diagnostic reports; the discount is not based on any other factors. How to save: Drive fewer than 15,000 miles a year. The less you drive the more you will save. How much you’ll save or pay: Discounts correspond to several mileage tiers. Savings range from up to 13% if you drive 12,501 to 15,000 miles and up to 54% if you drive fewer than 2,500 miles a year. Signing up for the program won’t result in a premium increase. Available: Alabama, Arizona, Arkansas, California, Colorado, District of Columbia, Delaware, Florida, Illinois, Kentucky, Maryland, Michigan, Mississippi, Missouri, New York, Ohio, Pennsylvania, Rhode Island, South Carolina, Tennessee, Texas, Virginia and West Virginia. Nationwide provides a plug-in device that takes into account four variables: mileage, hard braking, fast acceleration and nighttime driving. Your driving will be tracked for four to six months. At the end of the period, you can lock in your discount and send back the device. How to save: Drive fewer miles, avoid fast starts and hard stops, and stay off the roads between midnight and 5 a.m.
How much you’ll save or pay: You earn a 5% discount when you sign up and can save as much as 30%. The program will not result in higher rates. Available: All states except Alaska, California, Delaware, Florida, Hawaii, Maine, Massachusetts, Michigan, New Jersey, New York, North Carolina and Rhode Island. Safeco, a Liberty Mutual company, takes a different approach with its usage-based insurance program. Rewind is available to current policyholders looking to avoid a rate increase after they’ve had a speeding ticket, minor violation or at-fault accident. When you sign up, the premium increase that normally would be associated with the ticket or accident is waived for the time being. The Rewind plug-in device records your mileage, speed, quick starts and hard stops for four months. If you’ve gotten a passing driving score after the four months are up, the company will forget your ticket or accident ever happened, and the increase you would have faced is waived permanently. You must be a current Safeco auto insurance customer and have no more than two driving setbacks to be eligible. How to save: Avoid quick starts, hard stops, excessive speeds, and driving between midnight and 4 a.m.
How much you’ll save or pay: You save money by avoiding a premium increase. The amount will vary depending on the surcharge you would have faced for the violation or at-fault accident. Available: All states except Massachusetts and Rhode Island. In some states, the Drive Safe & Save discount is based strictly on mileage; in others, it’s also based on driving behavior. State Farm provides a few ways to participate in its UBI program, depending on the state. You can sign up if you subscribe to OnStar or SYNC car-connectivity services. You can subscribe to State Farm’s In-Drive service, which tracks driving and provides extra features, such as stolen-vehicle location assistance, hands-free mobile phone capability, and vehicle diagnostics. State Farm sends two devices to install. One device plugs into the diagnostic port, and the other clips to the driver’s side visor. You get a free one-year subscription to In-Drive if you sign up for the Drive Safe & Save with In-Drive program. After that, you have to pay the subscription fee, which is about $6 a month. In Ohio, you can use a mobile app. In California you can report your odometer readings to State Farm. How to save: Keep mileage low; under 12,000 a year results in a 10% discount in some states. In states where driving behavior is tracked, avoid sudden changes in speed, speeds of 80 mph and higher, and late-night driving. How much you’ll save or pay: State Farm says some customers can save up to 50%, but the maximum savings vary by state. Your premium won’t increase unless you were getting a low-mileage discount for driving fewer than 7,500 miles a year and the program shows you’re exceeding that threshold. You receive an initial 5% car insurance discount when you sign up for Drive Safe & Save with In-Drive. Keep in mind that after the first year, you pay for the In-Drive subscription, about $6 a month. Available: Alabama, Connecticut, Indiana, Illinois, Maine, Ohio, Oregon and Virginia. Travelers provides a plug-in device to track mileage. After 60 to 90 days, the company will ask you to return it. Your mileage discount will be effective on your next policy renewal. The program gives you a discount for low mileage and does not take other driving factors into account. How to save: Keep mileage under 13,000 miles a year. How much you’ll save or pay: You can save up to 10% for signing up and up to 30% for low mileage if you drive fewer than 13,000 miles. Pay-per-mile insurance offers another alternative to standard car insurance policies. With these programs, your final rate is tied directly to how many miles you log, not how well you drive. Right now the field of choices is small. A plug-in device monitors mileage, which is used to calculate your insurance rates. You pay a base rate each month plus a per-mile rate multiplied by the number of miles you drive. You’re charged for no more than 150 miles a day. How much you’ll save or pay: You could save money if you drive fewer than 10,000 miles a year. Before you sign up, the company says it will show you a side-by-side rate comparison between its pay-per-mile and its standard policies. You’ll pay a $50 fee to cancel the per-mile policy, but the fee will be waived if you switch to a standard Esurance auto policy. Before you sign up for a usage-based insurance program, read the terms and conditions carefully. Keep in mind that you might not score the maximum discount advertised, no matter how hard you try to drive safely.